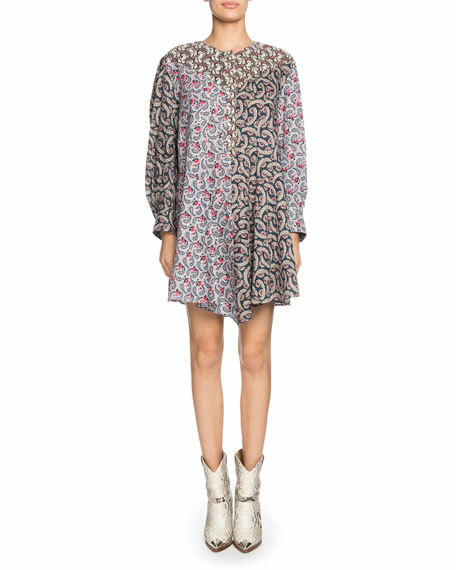 Alexander McQueen dress in victorian floral poplin. Mock neckline; covered button front. 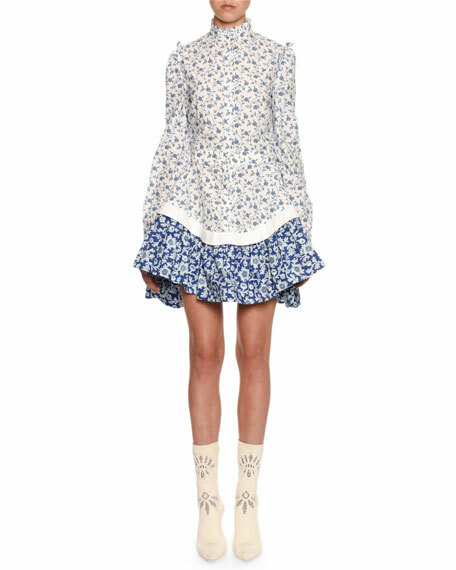 Long sleeves; frilled shoulder trim. Fit-and-flare silhouette. 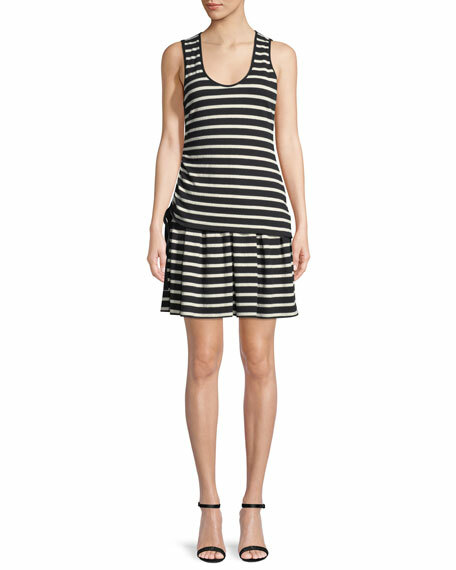 Contrast peplum hem; ribbon trim. Mini length. Back zip. Cotton. Dry clean. Made in Italy. 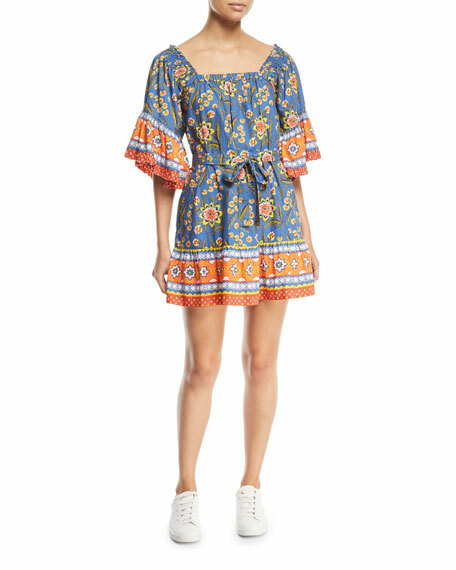 Isabel Marant "Lissande" mixed-print dress. Crew neckline; concealed button placket. Long, blouson sleeves; button cuffs. A-line silhouette. Mini length. Even hem. Cotton. Delicate wash. Imported.